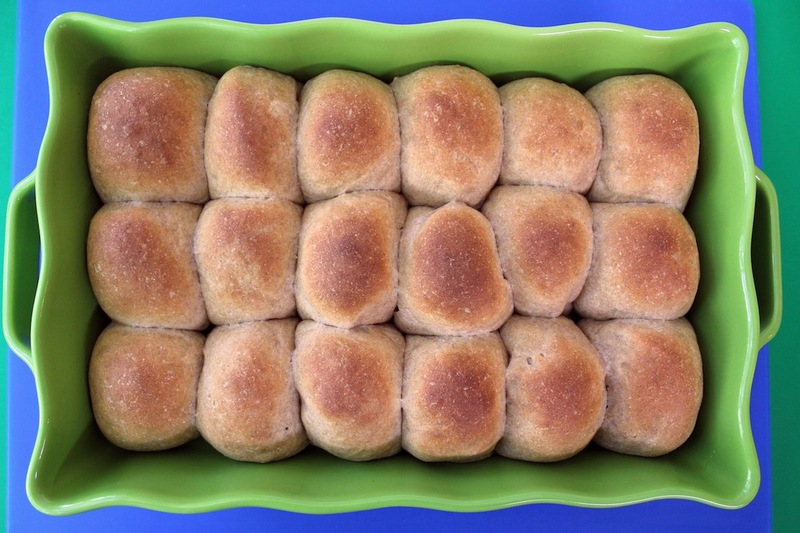 19 Comments on "Easy Whole Wheat Rolls"
Are you making videos of your recent recipes? Thanks for the tips on how to use your whole wheat bread recipe even to a beginner, you are perfect. However, I want to know if one do not have to add baking powder as one of the ingredients? 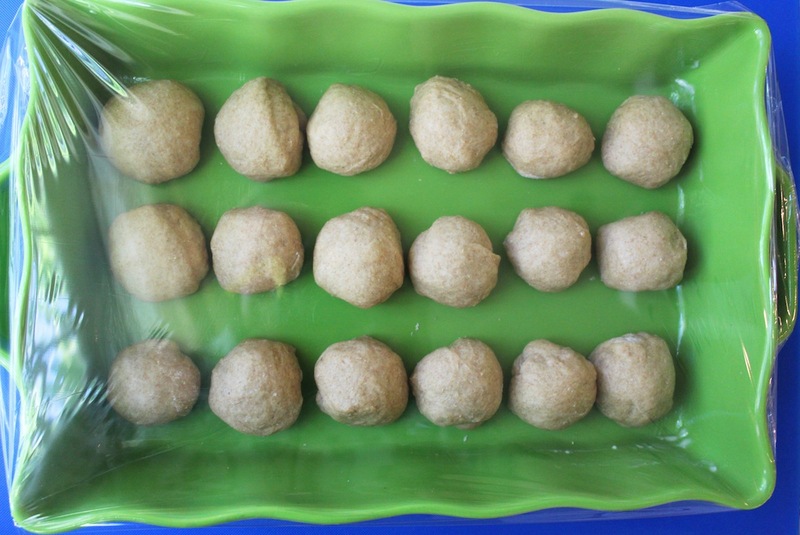 When baking with yeast you would never include baking powder. Yeast is what makes the bread rise so there is no need for baking powder. Baking powder is used for cakes or muffins or quick breads that do not use yeast. Do you sift your flour before making the bread recipes? I assumed that’s what you meant by aerate the flour but just checking. Thanks. do you have a no knead recipe for a multiseed loaf please? All my bread recipes are here on this website. Love your easy receipes however I am a visual person & am missing you on YouTube – come back soon! Yes, you can make this by hand but you will have to knead longer, until the dough is smooth and elastic. 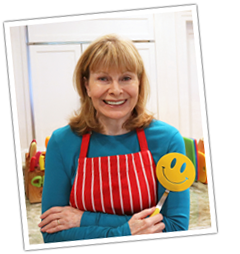 Hi Jenny love your recipes and especially the bread ones. I have made the No Knead Bread and it is excellent. Love all your recipes. Great work and well done. 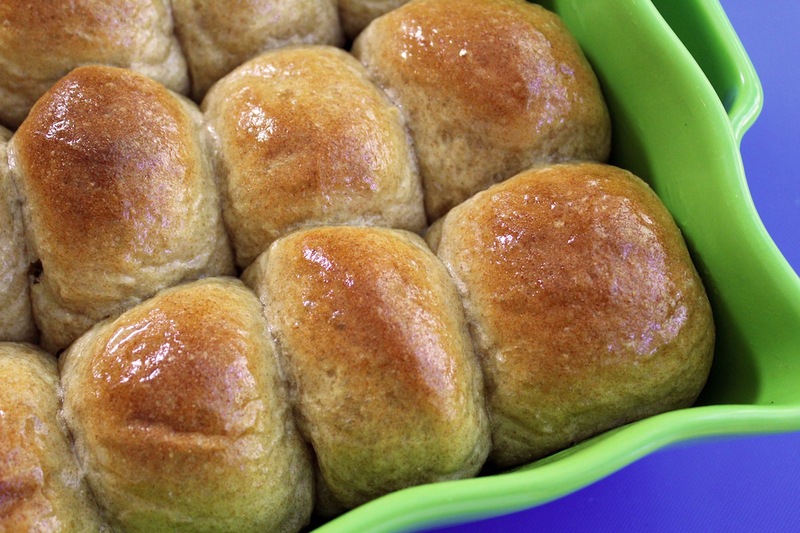 Hi Jenny, Thanks for the tips on how to use your whole wheat bread recipe to make rolls. It is my favorite recipe for bread whether white or white whole wheat and I’ve wondered how to make rolls with it and how long to bake them. Its a winner any way its made. 🌷 Happy Easter Jenny ! 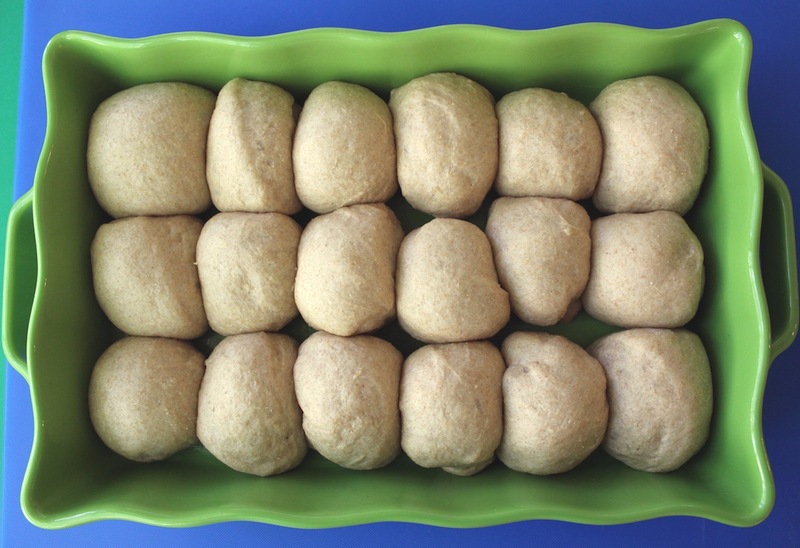 🐣 Love whole wheat – these rolls look amazing ! Those look so yummy, I can’t wait to try them. Have a blessed Easter! I really like that you post pictures of how things look, it really helps increase my self-confidence in my learning to bake breads! Thank you. e.
Just by luck I clicked on one of your Youtube videos. Thank God! I have tried a couple of your recipes and they are just fabulous. I am a bread fanatic/addict and I feel there is something primal about being able to make our own bread. Your recipes are wonderful, easy enough for beginners, and totally perfect. Your videos are cute and fun. Please keep making them. How about a cooking show on the food network? Couldn’t agree with you more, 1 Happy Granny. Just by happenstance, I ‘found’ “Jenny Can Cook” when I was web-surfing for ‘best granola recipes.’ And it was: the best granola I ever tasted. And so easy. Three times I looked for a ‘best recipe’ and each time one of Jenny’s was in the lineup. Three was the charm; it linked to Jenny’s website, then all the dots connected. I love visiting this website; it feels like a community. It takes real genius to make seemingly daunting things easy and fun. That’s the magic of Jenny. And the big surprise bonus for me: Polish childhood favorites! I love your website but when are you going to make a video in youtube ? I find that you are not making enough video, you’re funny to see and the way you explain the method of your recipe seem more easy. If i can say it more directly, i look at your videos more than you site. Thanks for sharing, and please make more videos !